Editor’s note. 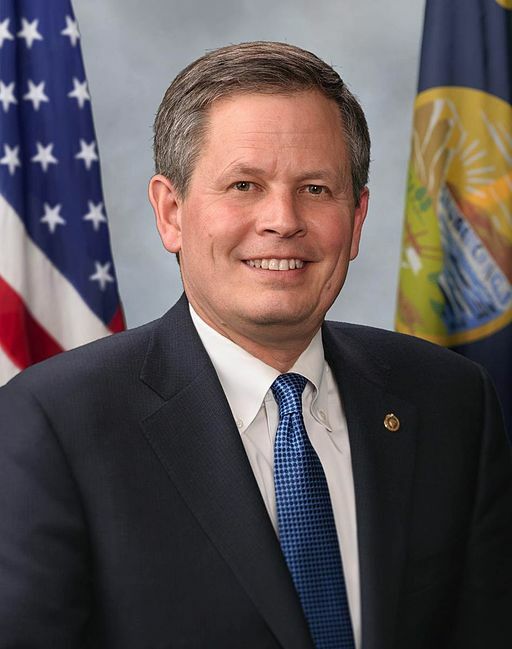 These are the full remarks were delivered on the floor of the Senate February 4 by Sen. Steve Daines [R-Mont.]. Along with other pro-life Republican senators, he spoke in favor of the Born-Alive Abortion Survivors Protection Act introduced by Sen. Ben Sasse. If enacted, the bill would extend federal legal protection to babies who are born alive during an abortion. Sen. Sasse asked for unanimous consent to which Democrats refused to agree. I was asked by many what I thought about those words. The word ‘‘evil’’ comes to mind. ‘‘Chilling.’’ On January 23, my wife Cindy and I celebrated the birth of our first grandchild. Little Emma Rae Daines was born in Denver. She was about 10 days early. Her due date, in fact, was Groundhog Day. She is doing wonderfully—a healthy, beautiful granddaughter, our first grandchild. When I think about what the Governor said, I can’t help but think about looking at the pictures we receive. I think on darn near an hourly basis, we are getting new pictures of our new, beautiful, little granddaughter. But these comments the Governor made pull back the curtain on an extreme and dangerous abortion agenda that shows callous disregard for human life. What the Virginia Governor is defending and what these ghoulish abortion-up-to-birth laws enable is the free rein of brutal killers like [West Philadelphia abortionist] Kermit Gosnell. Babies who survive the violence of an attempted abortion must not be subject to further violence or neglect, and that is why we are here this afternoon. Soon, Senator Sasse will be offering his legislation, the Born-Alive Abortion Survivors Protection Act. What Senator Sasse is proposing is that it would be a Federal law that born alive—let me say that again on the floor of the U.S. Senate—what this law says is that born-alive babies who survive an abortion must be treated the same as every other living baby—with dignity. As a nation, how is it that we can go to the OB–GYN, the delivery section of our hospitals, and see the NICU areas where they are doing all they can to save the lives of these preemies, and yet we are going to hear—I think our colleagues across the aisle are going to object to this law that would protect a baby who is born alive. If we can’t agree on something so fundamental—that babies born alive deserve the right to life—I fear deeply for the direction that some are taking our country. I implore my colleagues on the other side of the aisle not to block legislation that would bring much needed protections for the most vulnerable among us. I found it interesting that at the March for Life, one of the best tweets I saw that day was by someone who, in essence, said: It is the only march in America where those who are showing up to march are not marching for their rights; they are marching on behalf of those who don’t have a voice. That is worth standing up for on the floor of the Senate today. Every human life must be valued. Every human life must be protected from conception until death. Thank you.